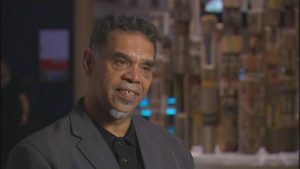 David R Horton is the creator of the Indigenous Language Map. This map is based on language data gathered by Aboriginal Studies Press, AIATSIS and Auslig/Sinclair, Knight, Merz, (1996). The map attempts to represent all of the language or tribal or nation groups of Indigenous people of Australia. 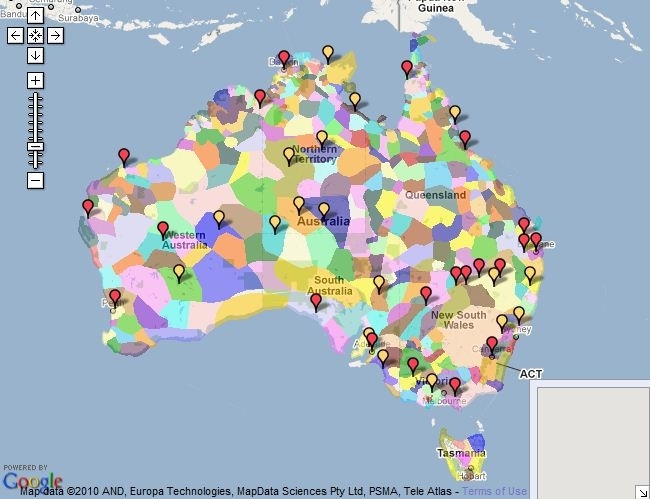 The Indigenous Language Map is just one representation of other map sources that are available for describing Aboriginal Australia. This map indicates only the general location of larger groupings of people which may include smaller groups such as clans, dialects or individual languages in a group. Boundaries are not intended to be exact. For more information about the groups of people in a particular region contact the relevant Land Councils. 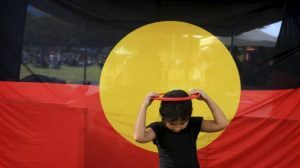 Language resource links provided by Aboriginal Languages of Australia Virtual Library, Wangka Maya Pilbara Aboriginal Language Centre & Victorian Aboriginal Corporation for Languages. Alternative spellings of language group names have been provided where possible.